Three readers can win a box of cupcakes from Little Louie's Cupcakes at http://bit.ly/J13bPi! * Entries will be accepted until Saturday (April 21, 11:59PM) and will be announced on Sunday (April 22). * THREE winners will be drawn via Random.org and will win a box of assorted cupcakes each from Little Louie's Cupcakes! What I love about little louie's cupcakes is you offer variety of flavors, the presentation really looks enticing, just by looking at the photos you will surely crave to have a taste of each cupcakes..and for the price? Its super affordable..
What i love about Little Louie's Cupcakes is their cupcake designs are very eye catching and ofcourse their heavenly taste and sweetness flavors. But don't worry because we are still considering the entry of SAMMY, MITCH, LALA and KARA as valid. What I love about Little Louie's Cupcakes is that each cupcakes was made with love and you can almost taste it with every bite. And the flavor of each cupcake is versatile enough to be loved by different people with different taste preferences. Hi Harvey! 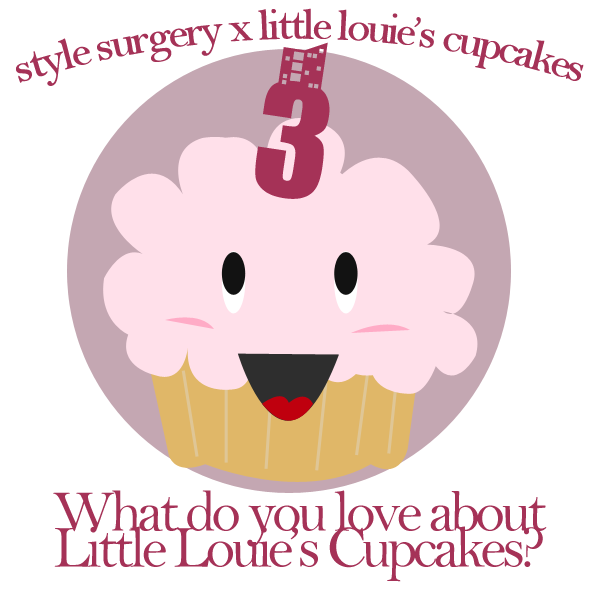 Please post your answer on Little Louie's Cupcake's Facebook wall HERE :) Thank you! !